Ahead of the Bitcoin Cash (BCH) hard fork, Bitmain has moved to deploy 90,000 Antminer S9 machines to Xinjiang, according to DeepChain. The mining giant is reportedly strategizing its position in the so called computing power war by making contact with local mining farms in Xianjing. Indigenous mining pool operator, Yu Hao according to DeepChain, said Bitmain has been in talks with the entire local mining farms since October. The mining giant has persuaded these farms to host 90,000 of its S9 machines. According to DeepChain, the power glut in Inner Mongolia and Xinjiang has been advantageous for platforms like Bitmain, because the hydropower stations in the southwestern part of China have failed to supply sufficient power in order to meet their energy-intensive requirements. Bitmain is a major BCH holder. The firm is backing Bitcoin Cash client Bitcoin ABC. ABC’s anticipated scalability upgrades have been opposed starkly by nChain, led by “Satoshi Nakomoto” Craig S. Wright. According to the report, Wright is in support of the BCH protocol called Bitcoin-SV (BSV). However, major mining pools like BTC.com, AntPool, Bitcoin.com Btc.top, and ViaBTC, have all backed Bitcoin ABC. Another notable mention is the report that one of the largest crypto trading exchanges Binance has shown support for the hard fork. This report according to digital-currency experts is a major reason why BCH has experienced a price hike. As of time of writing, Bitcoin Cash (BCH) was reportedly trading at $600.94, which indicates a 46.1 percent hike since November 1. DeepChain notes that Binance was joined by Coinbase in endorsing the BCH upgrade. In an interview with Crypto Ran Neuner a crypto trader, Roger Ver, Bitcoin.com’s Chief Executive Officer, spoke about the hard fork and conflicts within the BCH system. 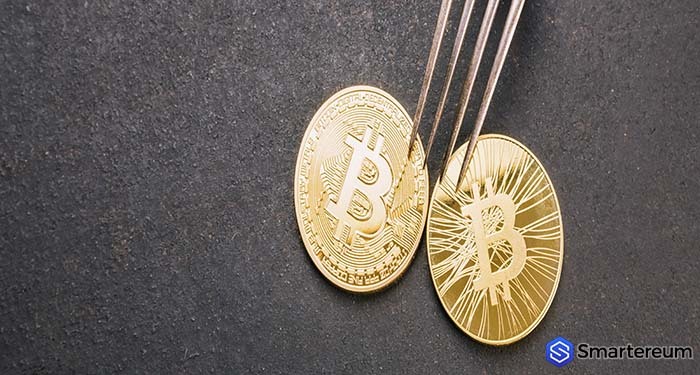 Ver had recently stated that he doesn’t really know what impact the hard fork is going to leave on the Bitcoin Cash (BCH) network. However, he still believes in a positive movement for the token. During the interview, Ver also indicated that the reason why there’s so much conflict in the Bitcoin Cash (BCH) system is because the network is the only truly decentralized cryptocurrency out there. According to Ver, everyone agrees that BCH should be widely accepted as legal tender across all exchanges. Ver brought in Craig Wright of nChain, saying he is his own person. He insists that his comments won’t have any effects on BCH’s platform. We can recall that Craig Wright was recently in the news when Bitmain’s Jihan Wu attacked him over the issue. Wu reportedly called Wright a “Blockstream spy”. Ver also indicated that there were two opinions in the BCH network. According to him one wants the 128 MB block to be implemented soon. While the other wants it launched in May 2019. NeuNer and Ver’s discussion informed users that both factions were led by Wright and Calvin Ayre. The other side was lead by Wu.